Training facilities are very important part of a football club.It is really necessary for a club to not to just have a good training ground but also facilities like medical,gym,swimming pool and other aspects of infrastructure to really improve the overall experience for the players and everyone at the club. Most of the clubs now-a-days really focus on providing best training facilities to their players and today we will have a look at some of the football clubs with best training facilities. Here is our list of top 10 football clubs with best training facilities. La Turbie has three pitches carved out of the rock face. La Turbie Training Stadium, has been used by AS Monaco footballers since the 1981-1982 season. In 2003, the stadium took on an ultra-modern dimension, with vast changing rooms, a treatment room, a relaxation area, as well as swimming pools and jacuzzi. Finally, in 2006, a press room made its appearance for the delight of journalists. is the training ground and academy headquarters of Manchester United F.C. It is near the village of Carrington, Greater Manchester, England, and replaced The Cliff as the club’s training ground in 2000. 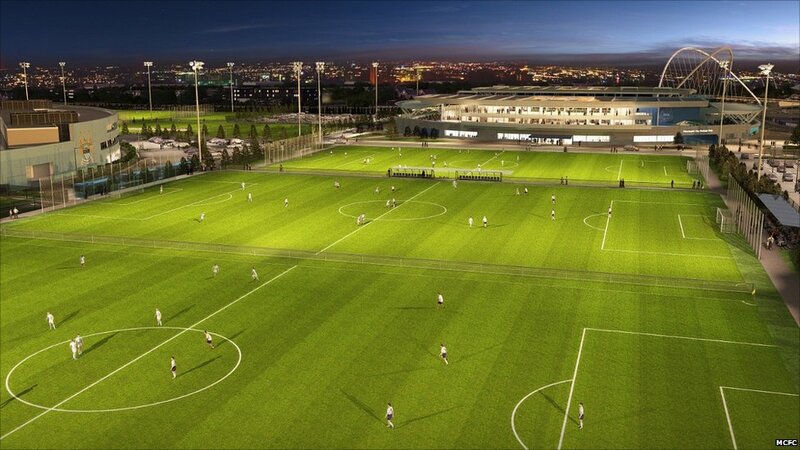 Construction on the complex began in 1999, the main building was opened and the first team moved in 2000, followed in 2002 by the Academy facility, home to the club’s renowned youth system. In 2013, major additions were completed at the complex, including a medical centre and sports science department, bringing the total construction cost of the training complex to over £60 million. The Academy Facility comprises two levels. The ground floor includes a full-size indoor football pitch with a synthetic AstroTurf surface, a full-size outdoor football pitch with heated and floodlit AstroTurf surface, 11 dressing rooms for youth teams, coaches and referees, coaches briefing rooms, kit room, player treatment facility and physio’s office. Cidade do Galo is Atlético Mineiro’s training ground, located in Vespasiano, Minas Gerais, Brazil. Construction of the first training pitch started in 1982, but for almost three decades the facility was gradually improved, with Atlético Mineiro’s first squad training in the grounds for the first time in 2001, and the official inauguration happening in 2006. The complex, which has a built area of 5,850 square metres and a total area of 244,460 square metres, includes four official size football pitches, a first-class hotel for first-squad players and youth academy with 20 suites, gaming room, restaurant, auditorium, panoramic deck and industrial kitchen, phisiology room, medical and dentistry departments, climatized lockrooms with hydrotherapy tubs, gym, spa pools, ice tank, 7-a-side football pitch and laundry room. Cidade do Galo has been selected as the best training facility in Brazil and one of the best in the world. Milanello, is the training facility centre of Associazione Calcio Milan. It was built-in 1963, the centre consists of 160,000 square metres including a pinewood and a little lake. The facilities of Milanello have often been used also by the Italian National team for the preparation of the important competitions, such as the European Championships in 1988, 1996 and 2000. At Milanello there are six regular pitches, 1 in synthetic grass, 1 covered pitch with synthetic ground and a small-sized outdoor pitch in grass named “cage” because the playing field is surrounded by a 2,30 m high wall and topped by 2,5 m high fencing.The main building of the centre is a two-floor building hosting the offices, the players’ rooms, the chimney room, a TV-room, a pool-room, a bar, a kitchen, two dining-rooms, the press room, the meeting room, the laundry, the ironing-room and the medical centre.